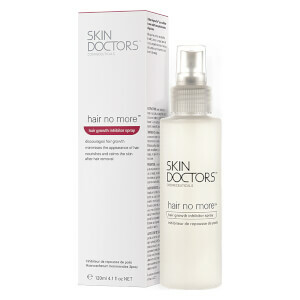 Achieve super-smooth legs with Skin Doctors Hair No More Hair Removal Pack. The easy two-step system removes stubble and other hairs whilst also weakening its reappearance. 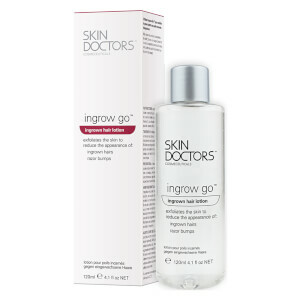 The hair removal pack includes a hair removal cream and hair growth inhibitor spray. The cream works by dissolving the proteins that naturally grow your hairs. It is a painless method of giving your legs a smooth appearance and soft feel. The second step in the treatment is to apply the inhibitor spray, which works by entering the pores of your skin, saturating the hair bulb and preventing it from returning to growth. The inhibitor spray is easy to use and is pain-free. Works best on very fine hair, moderately well on medium hair and not so good on thick/short/often shaved hair. I used a bit of removal cream on a big mole on my jaw line that had a fuzzy layer of very fine longish hair on it, then used the spray as directed and so far there has been very little re growth. What has grown back is just the usual fine downy layer of hair that is on the rest of my face so I'm very happy with that. 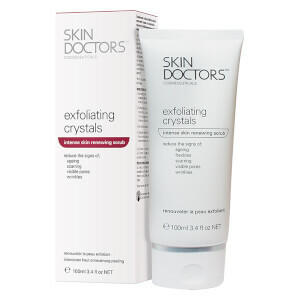 I used the cream to remove hair from my lower arms which is medium thickness but quite long, quite dense and quite dark. I don't think I scraped hard enough with the removal tool at fist as it didn't seem to be removing the hair so I ended up re applying the cream and left it on for far longer than recommend (this caused me no adverse effects though). When I'd had enough of waiting I really scraped the hairs off and infact most of them came off when I washed the remaining cream off afterwards. The cream left my arms completely hair free and my skin was soft and smooth. Again I used the spray as directed and I would say about 1/3 of the hairs gradually grew back (took over 1 month to grow back). The hairs are now a bit finer, a lot lighter and much more sparse so quite a good result. I am much less embarrassed to have bare arms now I don't look so much like a gorilla! But think I will do it again and see if it gets rid of the remaining hairs. I also tried it on some very stubborn, frequently shaved hairs on my inner thighs but as yet it hasn't really made much difference to their appearance. I think the kit would be better with 2 sprays and one removal cream as you use much more spray (every day for 1 week then less afterwards) than cream. I am now going to buy another spray on its own and continue the treatment. The removal cream didn't do anything leaving it on for maximum time. Hair prevent spray however was good on body, made my neck red for a while but use after shaving makes the hair stay down for longer. Wish I could have my money back. Hair removal cream did not work even though left on the maximum time. My hair is medium thickness and easily removes by other brands. Extremely disappointing. I have noticed a reduction of hair growth using this system and will continue with the treatment for as long as it takes to be hair free on my face. Excellent product. I didn´t believe it but it actually worked and it took 2-3 weeks to my hair to grow back. The removal cream is great but the hair growth prevention spray didn't do anything for me. Would give this more than 5 stars if possible! Removes hair so easily I was shocked at how well it worked I have dark hair so it is naturally quite course and it just glided off my legs/underarms in 5mins! 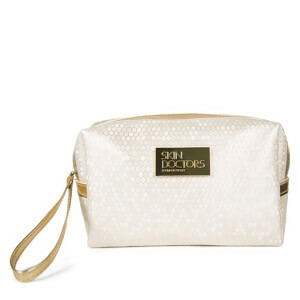 No irritation or redness either which is fabulous and the smell doesn't linger like some other creams seem too. As for the inhibitor spray I haven't really been using long enough to comment but this is worth is for the cream alone the spray is just a bonus. I used this for the first time tonight on my top lip. This hair removal cream is fantastic, no irritation, hair removed in 3 minutes (as recommended). 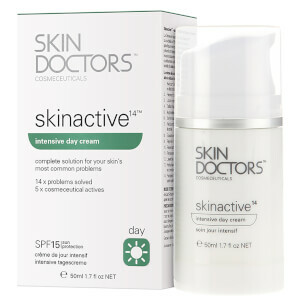 I always used another well known brand previously but I will never use anything other than Skin Doctors now! I haven't had any redness, no smell. It's wonderful! Truly converted, skin doctors fan! Thank you!! A very good product removes even stuben hair but is very strong so be careful.